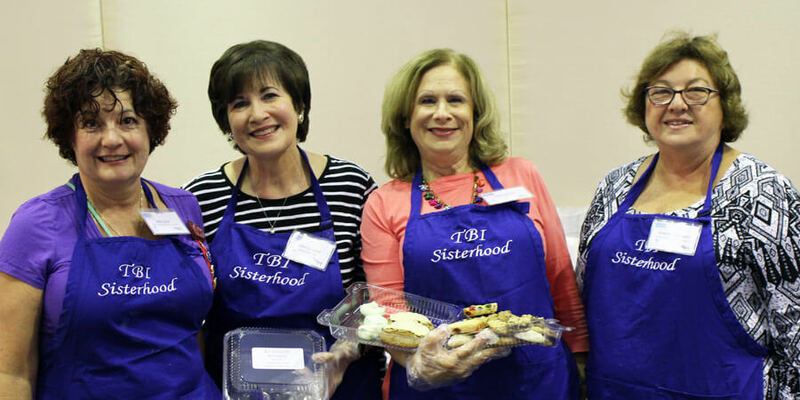 Sisterhood Temple Beth Israel strives to be a welcoming, inclusive, multi-generational group of women dedicated to serving our membership, our Temple, our community, and the Women of Reform Judaism (WRJ). Sisterhood is changing to keep pace with how women have been changing. Sisterhood attracts women of all ages, backgrounds, and lifestyles. Our varied interests are reflected in the diversity of programs we create and in the scope of causes we support. Sisterhood is opening doors for our members and our congregation, in our community and beyond. Sisterhood Temple Beth Israel is a proud affiliate of Women of Reform Judaism (WRJ), Midwest District, Chicago Metropolitan Area. Click here to view Sisterhood’s Centennial Celebration! Contact Sisterhood Leadership for more information. Sisterhood offers and co-sponsors a full array of programming throughout the year including: luncheons, guest speakers, Sunday Morning Seminars, social action programs, and book club. On the first Wednesday of each month, at 12:00, Sisterhood members gather for a light meal and a special program. Please check the Temple calendar, the bulletin, and weekly eBlasts for program details. Guests are welcome. Contact Sisterhood Leadership for more information. Sisterhood’s gift shop, located in the lobby, offers a wide variety of Judaica and gift items. The gift shop is open Sundays when religious school is in session, Wednesdays during Sisterhood open meetings and for select Temple events. Purchases at the gift shop can also be arranged by appointment through the office. Contact Linn Ullenbrauck for special appointments.